A total of 28 NGOs have today (5 March 2018) called on the Government of Thailand to revoke a zoo licence for the business behind the infamous Tiger Temple. The Tiger Temple – a tourist attraction and captive tiger facility notorious for tourist ‘tiger selfies’ – has been repeatedly implicated in illegal trade in tiger parts, as covered in a report by EIA, Education for Nature Vietnam and Wildlife Friends Foundation of Thailand, Cultivating Demand. In 2016, raids on the facility uncovered the carcasses of 70 tiger cubs, two tiger skins and more than 1,000 amulets made with tiger skin. The raid has so far not resulted in any arrests or prosecutions. Meanwhile, a zoo licence has been issued to ‘Golden Tiger (Thailand) Co. Ltd’, an offshoot entity of the Tiger Temple. Rewarded instead of penalised, this sends completely the wrong message to wildlife criminals. Thai authorities need to demonstrate they are taking illegal tiger trade and their commitments to the Convention on Illegal Trade in Endangered Species (CITES) seriously by taking action to reverse this high profit/low risk equation. 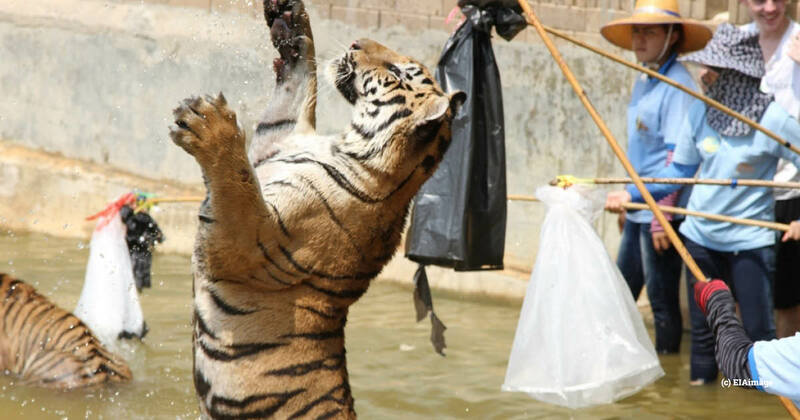 The Tiger Temple debacle is also indicative of Thailand’s escalating captive tiger crisis. There are now an estimated 1,450-2,500 tigers kept in about 50 facilities in Thailand. The vast majority are purely commercial ventures serving no conservation purpose whatsoever, and several have been implicated in illegal trade in tiger parts and products. Trade from and through captive facilities sustains and stimulates demand for tiger and other big cat products, which is driving the poaching of wild tigers in Thailand and throughout their Asian range, and of big cat species globally. In this letter, we and the other 27 NGOs have offered to advise the Thai Government on how to begin phasing out commercial tiger breeding facilities and also encourage authorities to work with experienced operators of legitimate animal sanctuaries to look after confiscated tigers. The NGO letter has been published online.